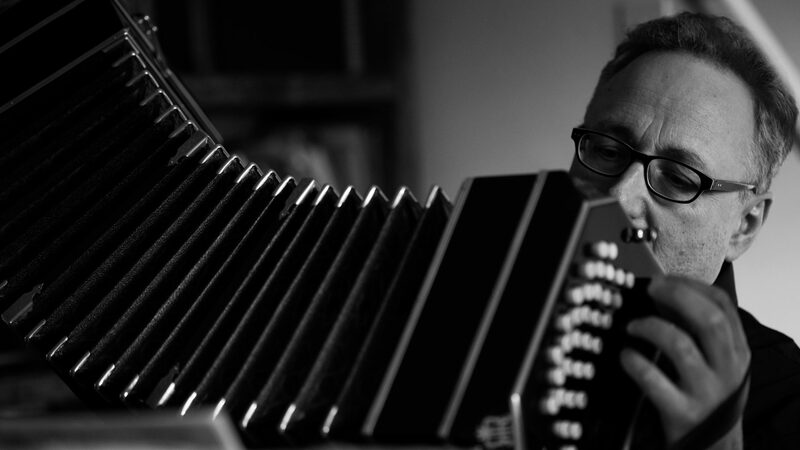 Julian Rowlands is a composer, arranger, bandoneonist and multi-instrumentalist (free reeds, keys, strings). TV and Radio appearances have included BBC Strictly, The One Show and Zingzillas, ITV’s Surprise Surprise, BBC Radio 4 Front Row, and Radio 3 Sound of Dance and In Tune. Julian made his Radio 3 debut in 2010 accompanying bass-baritone Erwin Schrott in a live broadcast from the Royal Opera House, and his Wigmore Hall debut later that year playing Piazzolla’s Five Tango Sensations with the soloists of the London Philharmonic Orchestra. Julian created the score for the Olivier-nominated Midnight Tango together with Ros Stephen and Jonathan Taylor of Tango Siempre, and appeared in its 480 performances in the west end and on tour, described by the Financial Times as “the tango, raw, intoxicating, speaking with its true voice”. Other composing and arranging credits include “Flying into daylight” by Emmy award winning writer Ron Hutchinson, Tangomotion and other Tango Siempre productions, and Violetta’s Last tango. His solo performances of his own music in Flying into Daylight won the accolade “Tango Nirvana” from the Guardian. His recordings of Piazzolla with the Santiago String Quartet on the 2018 album “Language of the Heart” have attracted praise from artists including Sting, Bob Geldof and Tom Robinson. Other ensembles with whom he has worked include The Orchestra of the Royal Opera House, the Philharmonia Chamber Players, The City of London Sinfonia, Chineke, the RTE Concert Orchestra, and the London Tango Quintet.